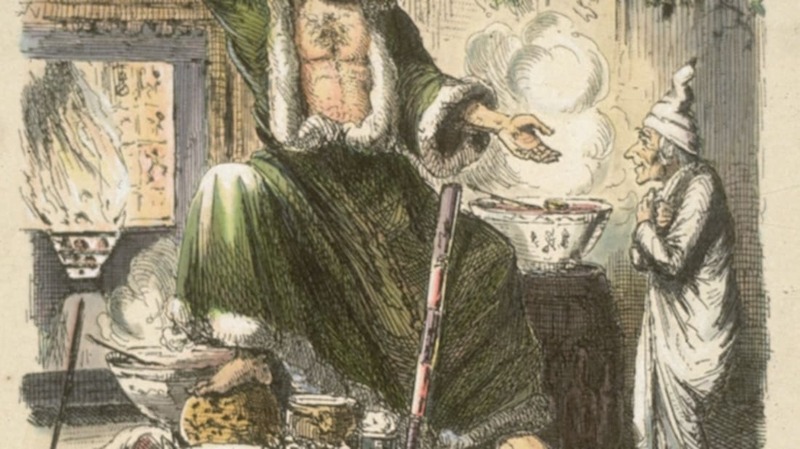 Of all the Christmas stories that have ever been written, Charles Dickens' A Christmas Carol may be the most wonderful of all. The Patrick Stewart-led 1999 film version is a particular favorite of mine, but for an incredibly authentic experience, you can hear the story read aloud according to Dickens' own directions with this recording from a New York Public Library event last year. Neil Gaiman reads for close to an hour and a half from Dickens' personal copy of the book, which includes Dickens' notes for his own public readings on intonation and audience reactions. The manuscript, which will be on display this month along with other Christmas-themed literature, is part of the Library's Dicken's collection, which also includes a letter opener made from the embalmed paw of his late cat, Bob.